Portsmouth International Port has launched a dedicated towage service for commercial ships with the appointment of the UK’s largest independent tugboat operator. Starting from this month (November 2017), SMS Towage Ltd will have a fleet of two tugboats on standby at the port and available to ships sailing in at as little as an hour’s notice. It marks further expansion for the company, which also services the Humber ports, Bristol Channel and Belfast Harbour. It is expected to create around 10 new jobs as SMS takes steps to appoint its Portsmouth crew. The move to a dedicated towage service builds on the strategy of growth and of attracting new sectors to both Portsmouth International Port and MMD Shipping, its fruit importing and handling business which has recently announced the appointment of a new business development manager. Rupert Taylor, Portsmouth International Port's harbour master, said: "We're very pleased that our customers will now have a dedicated towage service when using the port. It enables us to provide greater resources for commercial shipping companies. "SMS Towage will be permanently based here so customers can be assured of a reliable and quick operation. The two tugs operating at the port are the Irishman and Guardsman, both 40 tonne bollard pull ASD vessels. 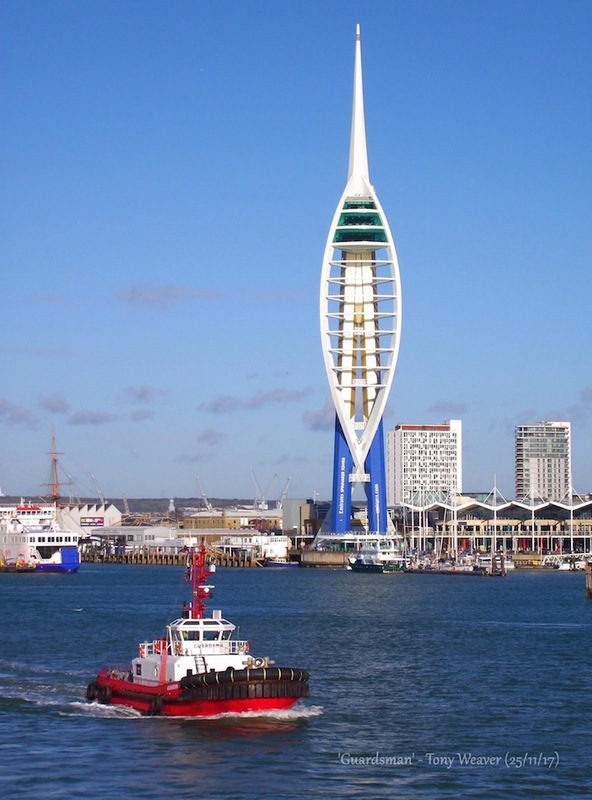 Gareth Escreet, director at SMS Towage, said: “Our expansion onto to the south coast is an exciting time for our business and we will be looking to recruit additional dedicated crew to help provide the new service who will be trained to operate in the waters around Portsmouth. SMS was established in 2003 and employs 140 people. Its head office is based in Hessle, near Hull on the banks of the Humber estuary. All of SMS’s fleet of tugboats are ASDs (azimuth stern drive), which makes them omnidirectional and their names carry the 'man' suffix, which is the company's symbol of quality.